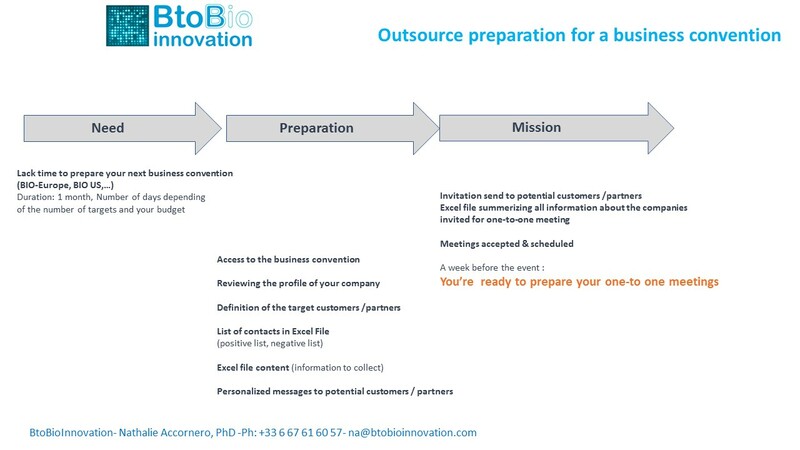 You would like to take part to next Bio Business convention (Bio-Europe Spring, Bio-Europe, BIO-US, BIO-Asia or other Business conventions). But a good preparation for a business convention is time-consuming and you have more important task to do. You can outsource the meeting request to focus only on the last part, the preparation of one-to-one meeting adapted to each of your accepted meeting.